Learning Management Systems have evolved from just being used by students, to being implemented by corporates. Moodle has taken up a majority of this market with its sophisticated CMS model. One that has been in play since 2002. Being Open Source, Moodle has attracted thousands of developers who have contributed greatly towards this community. One such group of people – WisdmLabs’ Edwiser, have contributed to the Moodle community in abundance. They have range of plugins, and theme for Moodle. 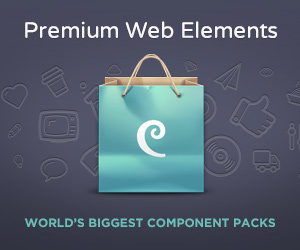 Here is a list of their themes and plugins. Edwiser works exclusively on Moodle to build useful plugins and themes. To begin with, let us look at Edwiser Bridge. Ever wanted to link your WordPress website to your Moodle? Then, Edwiser Bridge is exactly what you need. Edwiser Bridge connects the two most popular CMS ever created, WordPress & Moodle, bringing you a range of features that saves you time and makes it efficient to manage both WP and Moodle. With this plugin installed, synchronizing your users and courses between WP and Moodle is as simple as clicking a button. Alright, so how much do I pay for this? $0.00. Yes. It’s FREE! The basic functionality of Edwiser Bridge can be extended with its suite of extensions. These add useful features to the already awesome Moodle. Everyone knows that Moodle is an LMS. But did you know, you can even make it a marketplace? With WooCommerce Integration plugin, you can sell your paid courses and more on Moodle. WooCommerce is one of the most popular eCommerce plugins on the web and WooCommerce Integration plugin brings WooCommerce to Moodle, enabling you to sell various courses on your Moodle site easily. One of its many features allows you to sell your courses as “Subscriptions”. It’s like having a shopping cart on your Moodle, checkout WooCommerce Integration by Edwiser. Tired of remembering passwords? SSO eliminates the need to have two different credentials for your WordPress and Moodle website. With SSO installed, you don’t need to login to WordPress and Moodle separately. You can just login to WordPress or Moodle, and SSO automagically logs you into the other platform. But first you need to generate and verify a secret key on both the sites..
Edwiser Bridge will synchronize everything on the site on to WordPress, are you looking for more control over what gets synced? 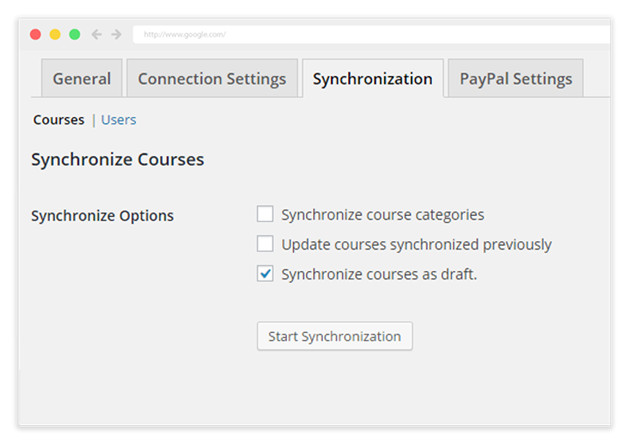 With this plugin installed, you will be able to selectively synchronize individual courses from your Moodle to WordPress. Other features include the ability to “Synchronize Courses by Category” and “Optionally Update Individual Courses” that have already been synced. Bulk Purchase is a plugin that will enable your users to order courses in Bulk from your store, and enroll themselves to all of them. WIth Bulk Purchases installed, instructors or administrators can buy courses for their students and enrol them for the particular course. You can even bulk Add Students to courses by uploading CSV. 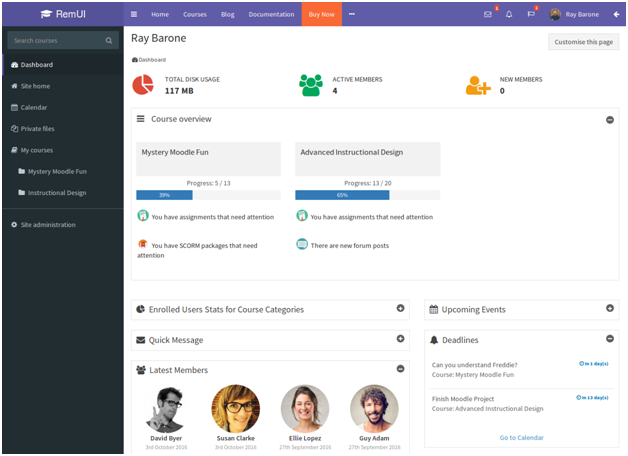 “RemUI is a Moodle theme” would be an understatement. It is much more than just a theme. A theme usually changes the outlook of any website, by introducing various colors, eye popping designs and such. It does everything that a normal theme for Moodle does, and goes an extra mile by making the Moodle Dashboard more efficient. Everything you need to have a distraction free learning is a click away on RemUI enabled dashboard. It provides easy navigation to course options by providing quick access buttons to frequently needed features. Introduces quick messaging facilities and instant notifications on dashboard. You would never have to waste time analyzing individual student reports, with RemUI, you get everything in a neat and easy to digest format – Graphs. The dashboard is completely widgetized allowing you to add important widgets such as Calendars, Upcoming tests/events etc. This was everything that Edwiser has currently published, their team of developers are constantly churning out more code. So stay tuned for more awesome Moodle addons. Go ahead and tell us what kind of improvements you are looking for, in Moodle. Do share this article with your e-Learning community. To save your money, you should checkout these Edwiser Coupon Codes before making purchase. Good luck!